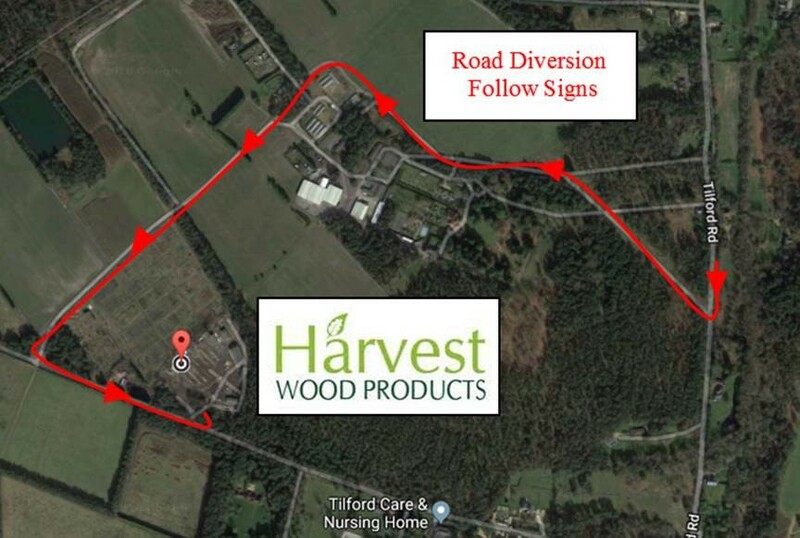 Esso Petroleum have an underground oil pipeline that runs from Fawley Oil Refinery in Southampton to Gatwick Airport and part of that pipeline route goes under Grange Road, Tilford right past the entrance to The Timber Yard of Harvest Wood Products. 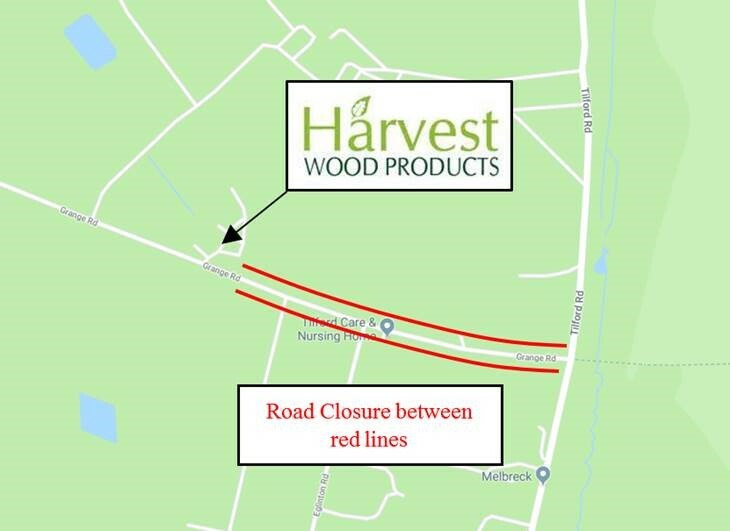 We will be open and operating normal working hours during these works and have therefore arranged for a Diversion for HGVs and those of you coming from Tilford Road through the entrance to the Greenhills Rural Enterprise Centre located at GU10 2DZ. 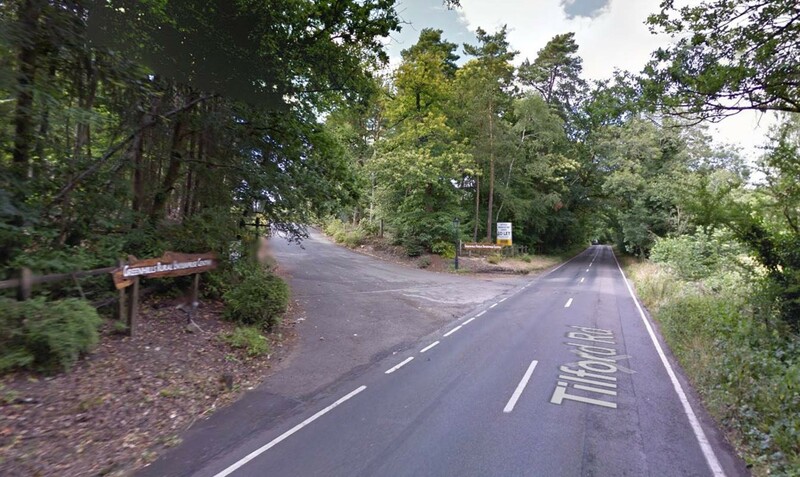 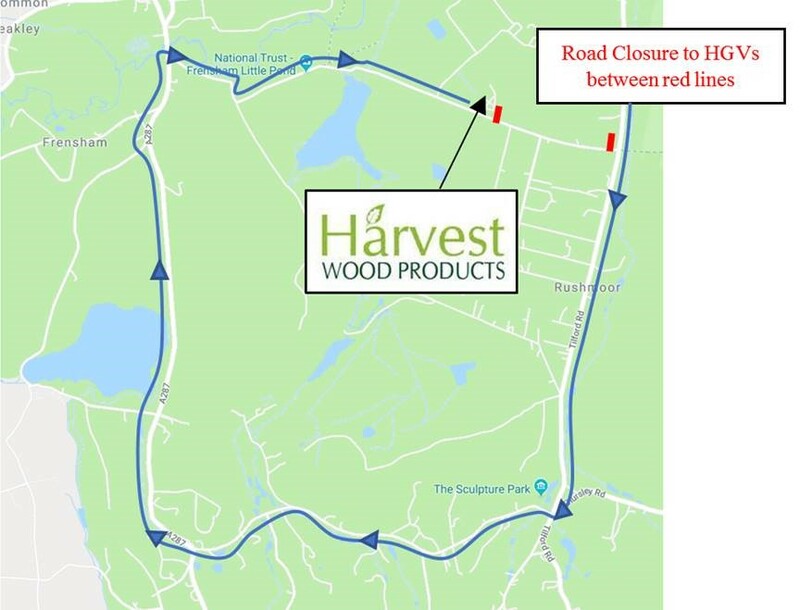 Official Road Diversion signs will also be put up by Highways directing access for any vehicle up to a maximum 7.5 tonnes (cars, vans and small trucks only due to a ford crossing) past Frensham Little Pond via Priory Lane, Frensham.